The written language of the Minoans is called Linear A by archeologists, linguists and historians, and has not yet been deciphered. The Mycenaean language, Linear B, was not deciphered until the 1950s, and linguists hope one day to crack the code, as more writings are unearthed in excavations. 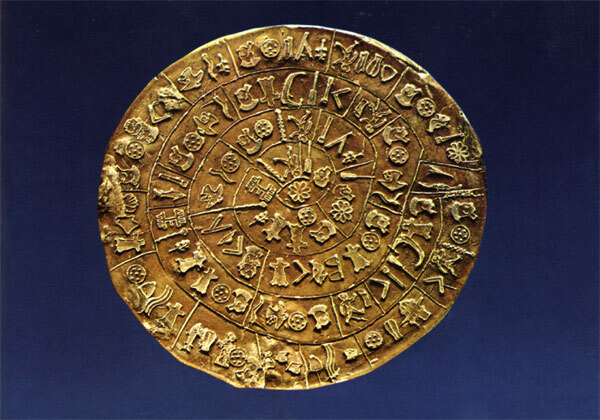 One example is the Phaistos Disc, where the writing runs in a spiral from the outside to the center. LInguists now believe that Linear A and Linear B are very similar. Until recently it was believed that Linear A was not related to Linear B, an ancestor of the Greek language, and was not an Indo European language, a family that includes ancient Greek and Latin. However, this view has changed. 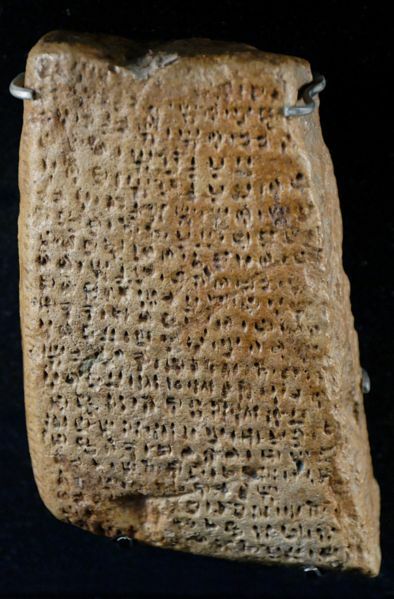 Linguists have discovered a close relationship between Linear A and Sanskrit, the ancient language of India, with connections to Hittite and Armenian, making it clear that Linear A is an Indo European language. Dozens of researchers are working on the puzzle with the approximately 600 words in existence.